One of the biggest upcoming technologies in the mobile market is Under Display Fingerprint. As we all are aware that all though Samsung has made a bezel-less design for their latest flagship Samsung Galaxy S8 and S8 + but was unable to bring this technology to their device. Now it is expected to come in Apple iPhone 8, which will be 10th edition iPhone. In the recent activity about the technology, Vivo on Wednesday at the start of MWC Shanghai 2017 showcased its new Under Display Fingerprint Scanning Solution based on Qualcomm's tech. Alongside, Vivo also unveiled its Digital Signal Processing (DSP) Photography Solution targeted for backlighting and night scene photography, and a Hi-Fi audio solution with a customized DAC decoding chip. As of now, no Vivo device with the fingerprint scanning tech is in production, but it will be showing the tech on prototype devices. 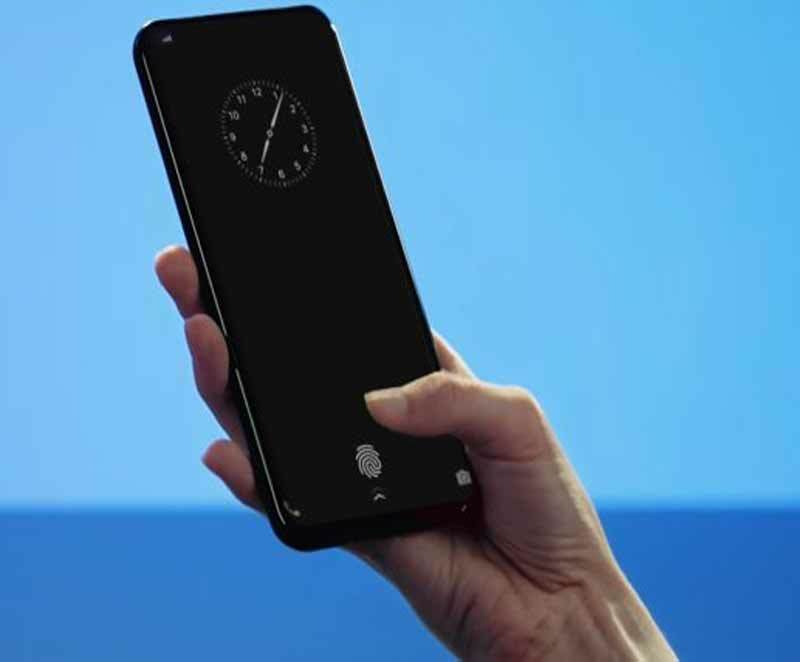 The Vivo Under Display Fingerprint Scanning Solution is based on Qualcomm technology, and the US-based telecommunications giant separately detailed its own display, glass, and metal fingerprint scanning solutions at the tradeshow. Qualcomm will be showcasing its own under display fingerprint scanning technology at MWC Shanghai 2017 using the Vivo Xplay6, as seen in the above image. Like Qualcomm Fingerprint Sensor for Display, Vivo's solution can scan through 1200-micron thick OLED display stacks. Vivo claims its under-display fingerprint solution is the first to be "demonstrated by a Smartphone manufacturer." The Chinese company said that since the Vivo Under Display Fingerprint Scanning Solution doesn't require the physical button for the sensor, the solution enables the use of a "true full-screen display and an integrated unibody and mechanical waterproofing design." In a statement, the company elaborated to say, "In Vivo's R&D plan, fingerprint scanning will not be carried out by an independent button or region. It will be realized more subtly under the screen, behind the metal shell, or even in the frame." Vivo adds, "based on ultrasonic technology, the fingerprint recognition technology can be further expanded to realize user interaction, such as gesture recognition, security verification and other fields, which will greatly enhance user experience." Coming to Vivo's other announcements from its keynote at the trade show, let's start with the new independent Vivo DSP Photography Solution. The company claims the new tech will greatly "improve backlighting and night scene photography".